Today we’d like to introduce you to Denise Disharoon and Kirk Sellinger. Kirk and Denise, owners of Sky Falconry, came together through their shared passion for birds of prey and falconry. Kirk developed a love for birds while working as a wildlife videographer in eco-tourism around the world with National Geographic/Lindblad expeditions. As a paraglider pilot, his personal love for flight sparked the desire to work intimately with raptors, to fly and hunt with them. Thus, he began pursuing falconry and shortly thereafter met Denise, who’s passion for raptors is rooted in her childhood. 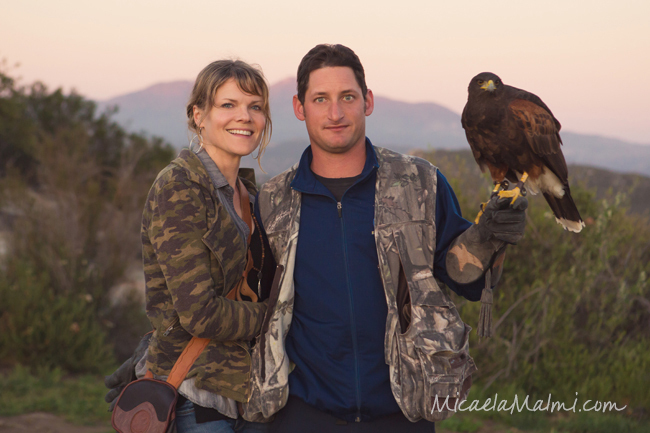 Together they worked with West Coast Falconry in Northern California and in 2012 opened their own satellite school, Sky Falconry, in San Diego. Opening any small business has its struggles. We are fortunate that our passion for raptors, and the desire to share the rare opportunity for the public to work with them, has helped us to exceed beyond any challenges we have faced. So, as you know, we’re impressed with Sky Falconry – tell our readers more, for example what you’re most proud of as a company and what sets you apart from others. 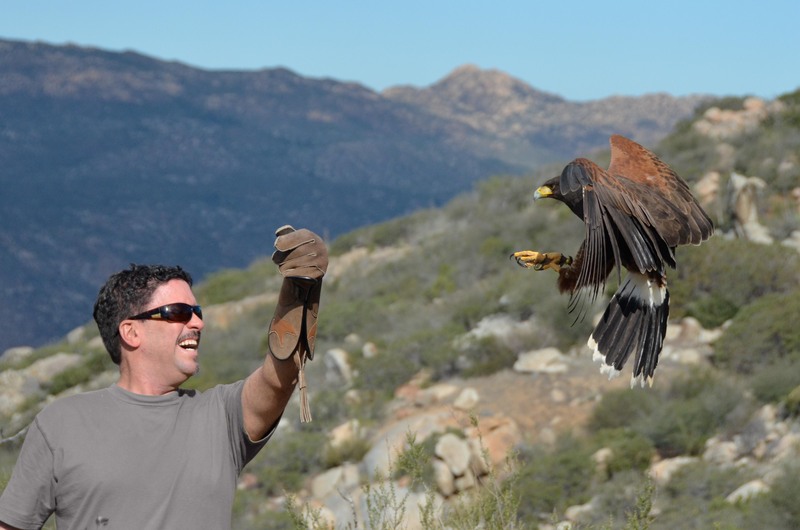 Sky Falconry offers the public the rare opportunity to glove up and free fly a bird of prey. 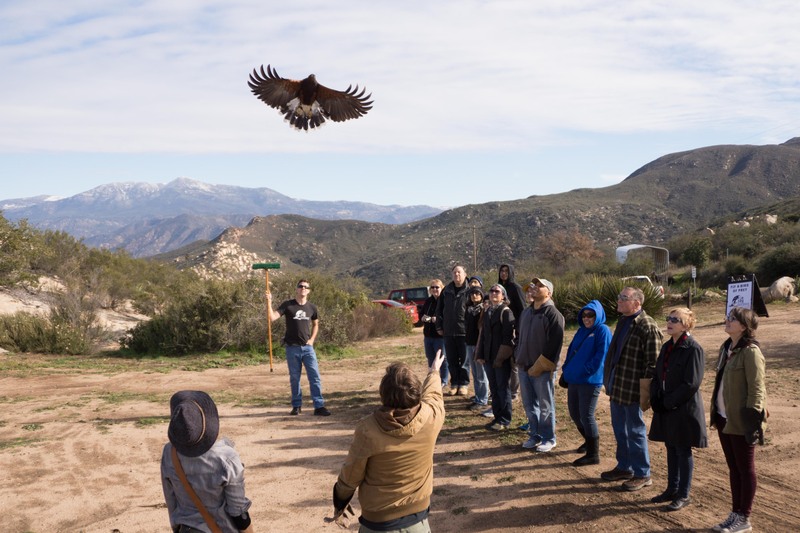 We have a variety of interactive, hands on experiences where participants learn about the ancient art of falconry, raptor biology, and conservation. We are among only a handful of falconry schools in the United States that offers these types of intimate classes to work with birds of prey. Our classes are held on our private 20-acre ranch in the mountains of Alpine, just 30 miles from the coast of San Diego. Our stunning scenery allows one to experience the awe of raptors in their natural habitat, displaying innate behaviors, while flying to and from participants gloves. We play interactive training games that help our birds further develop their hunting and survival skills. 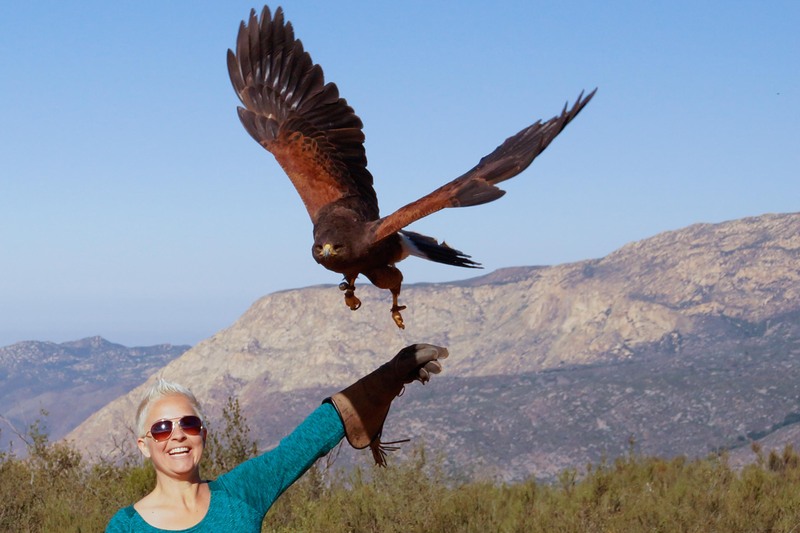 Sky Falconry is a bucket list must and we invite everyone to our unforgettable experiences! 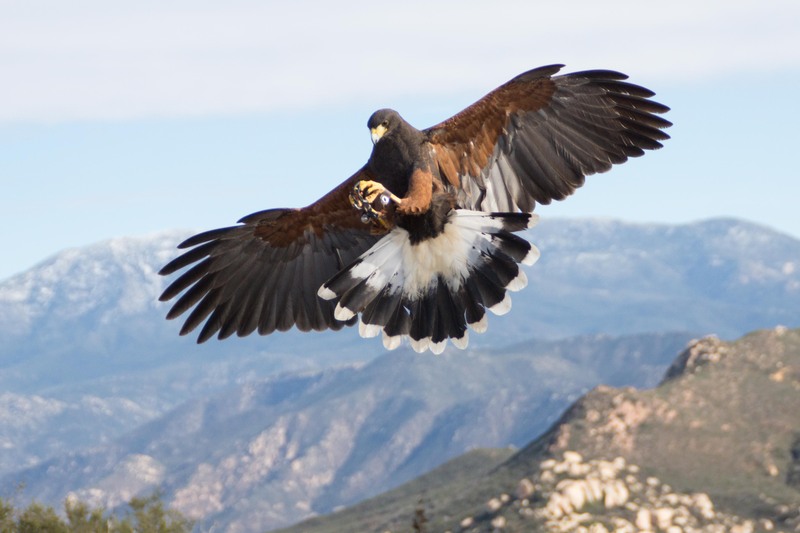 Sky Falconry’s mission is to promote preservation through education. Our goal is to continue to heighten the public’s awareness of conservation issues and the need to preserve our natural world through small steps they can take in their daily lives up to supporting larger organizations that work to protect all birds and their natural habitats. 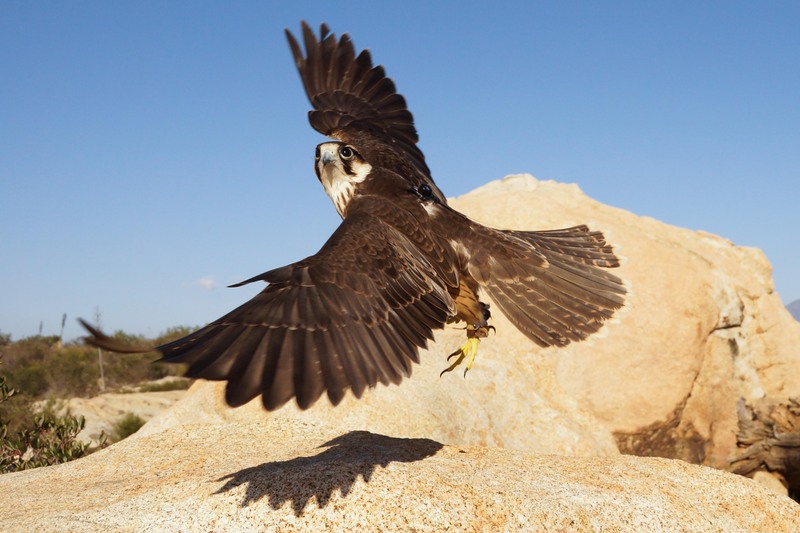 I have experienced sky falconry and it is an absolute magical experience I highly recommend. Denise and Kirk are masters of their craft and truly create an atmosphere and experience that is unforgettable. I have returned on four different occasions with guests and family. Totally 5 Star all the way!! !